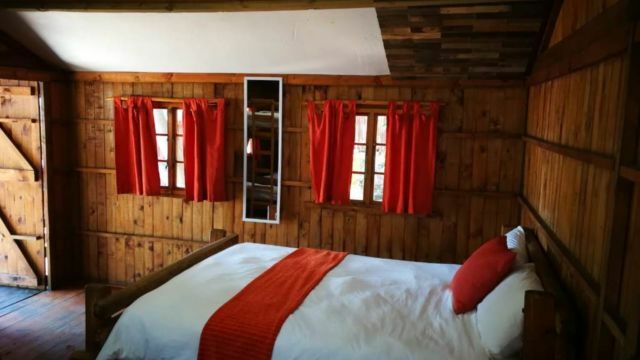 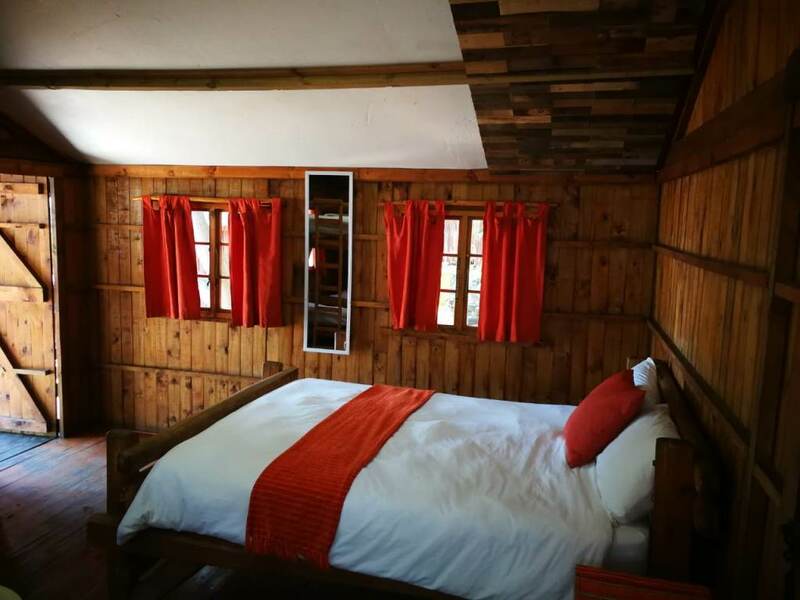 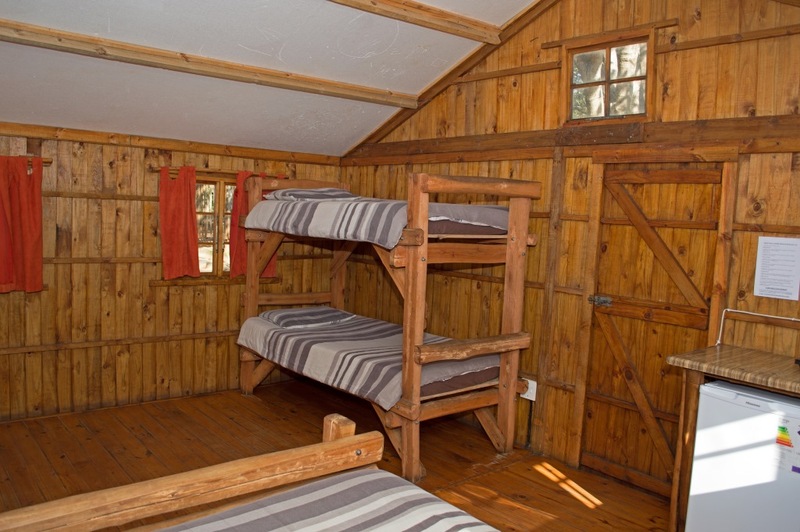 These cabins are wooden and sleep four guests. 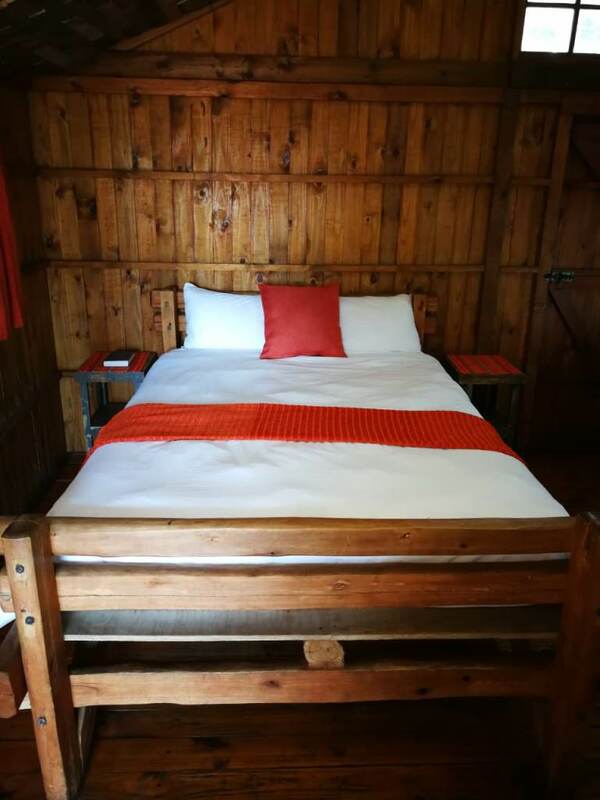 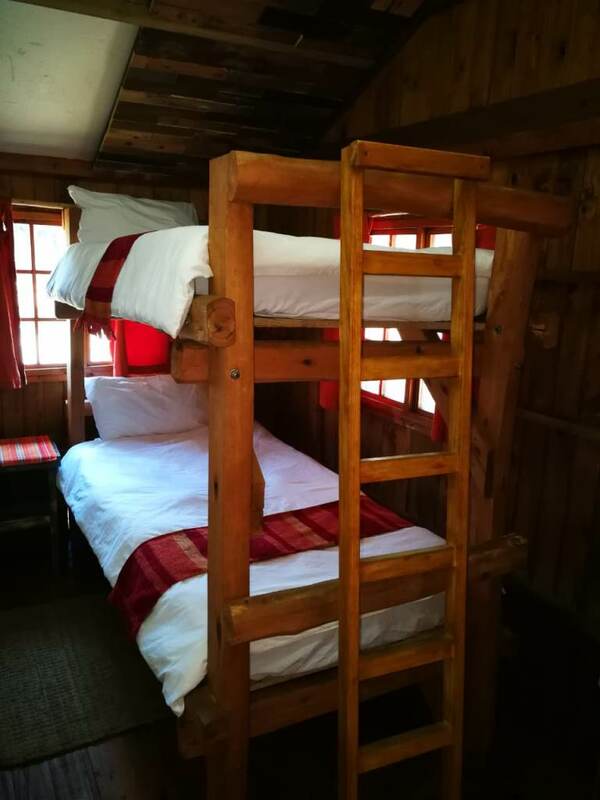 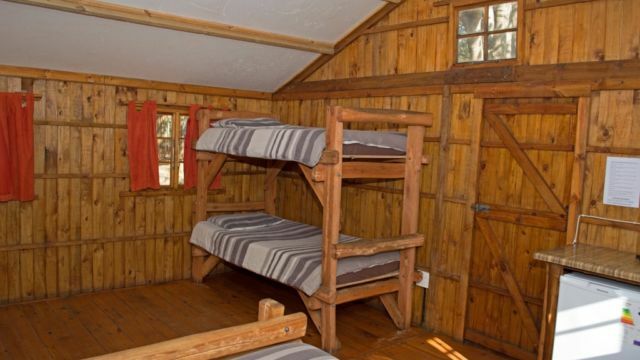 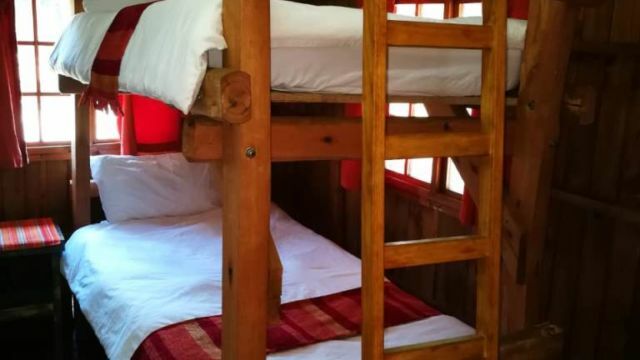 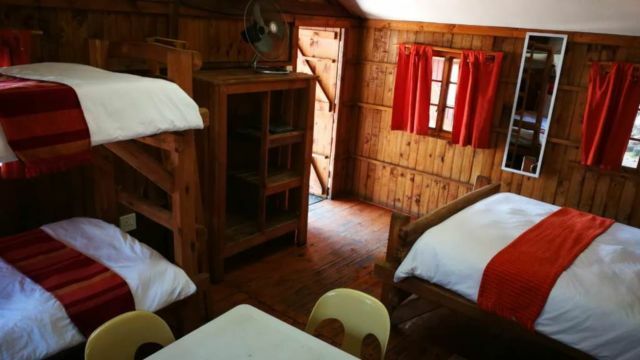 There is a double bed and two single beds used as bunk beds in each cabin. 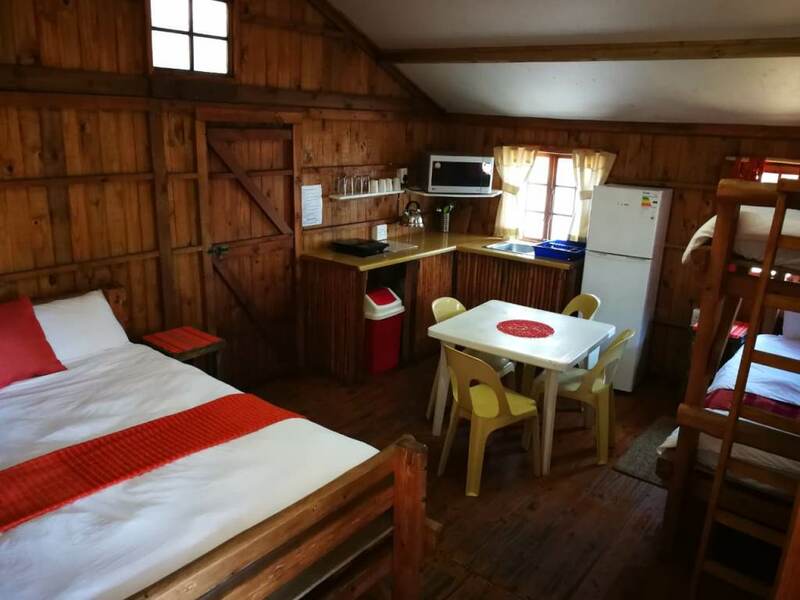 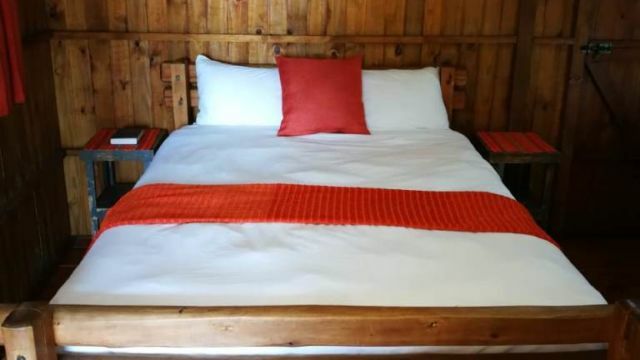 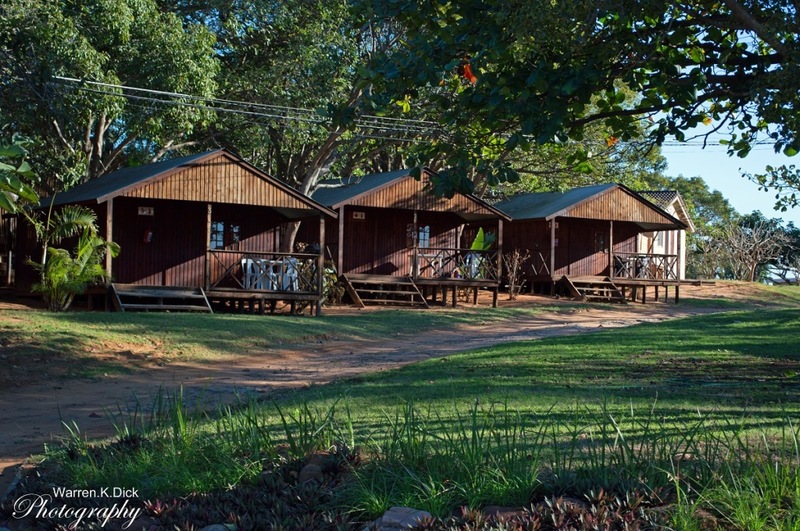 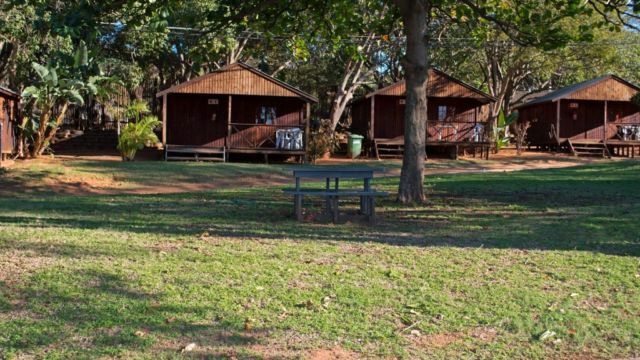 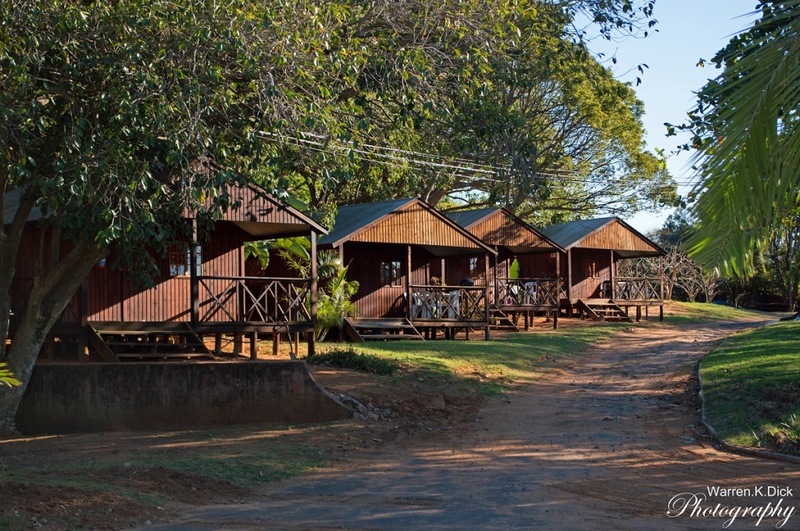 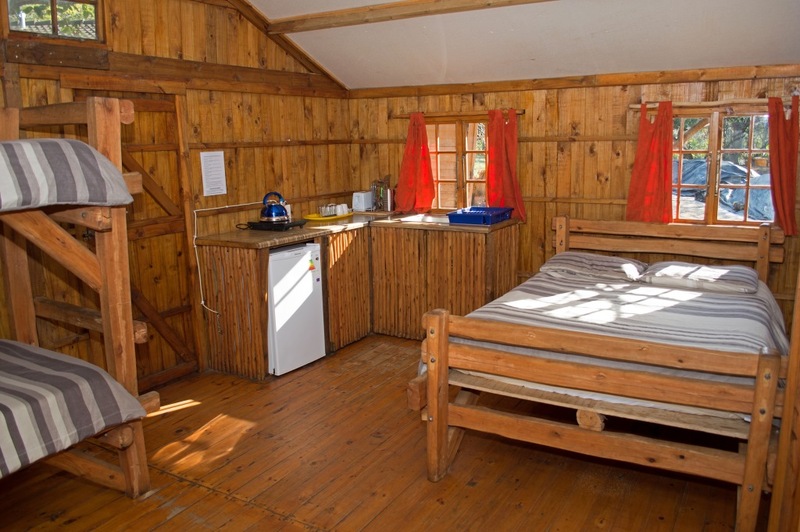 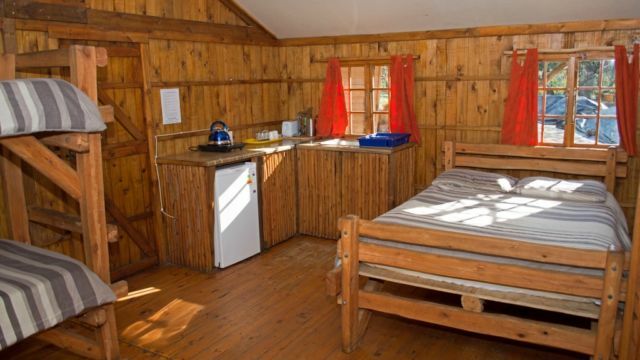 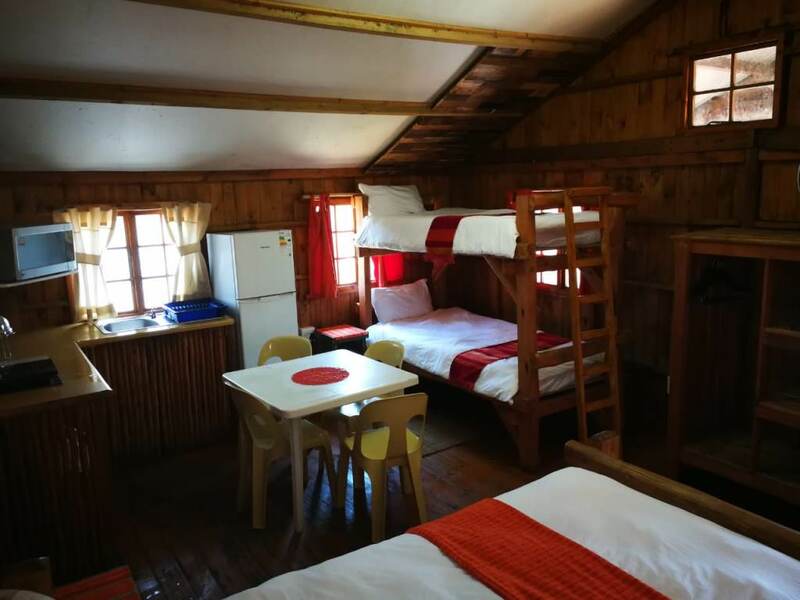 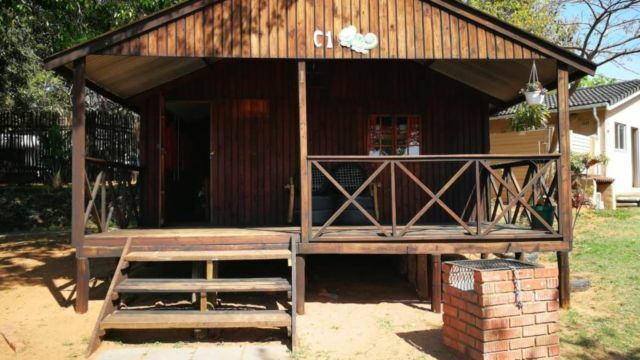 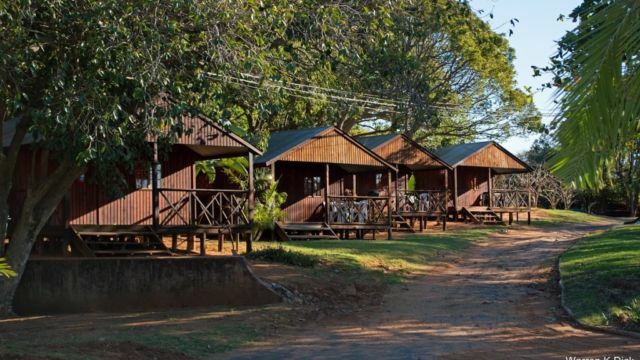 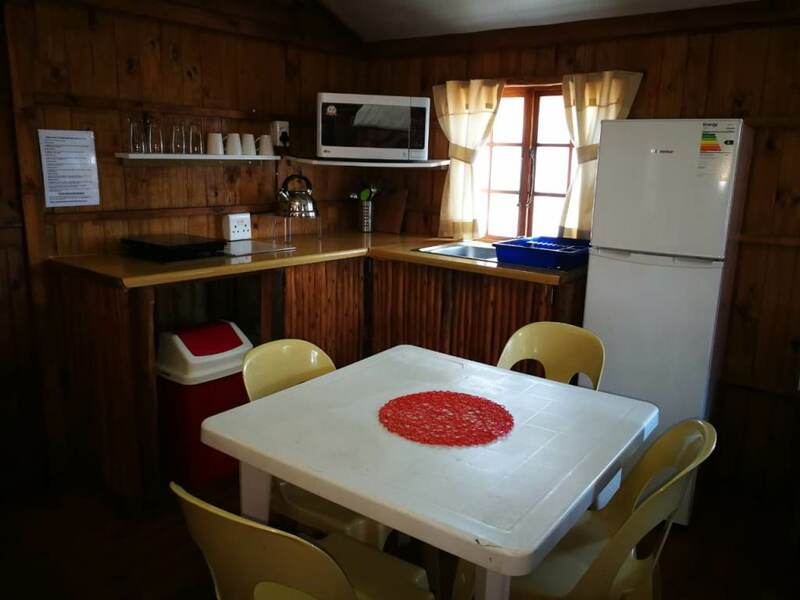 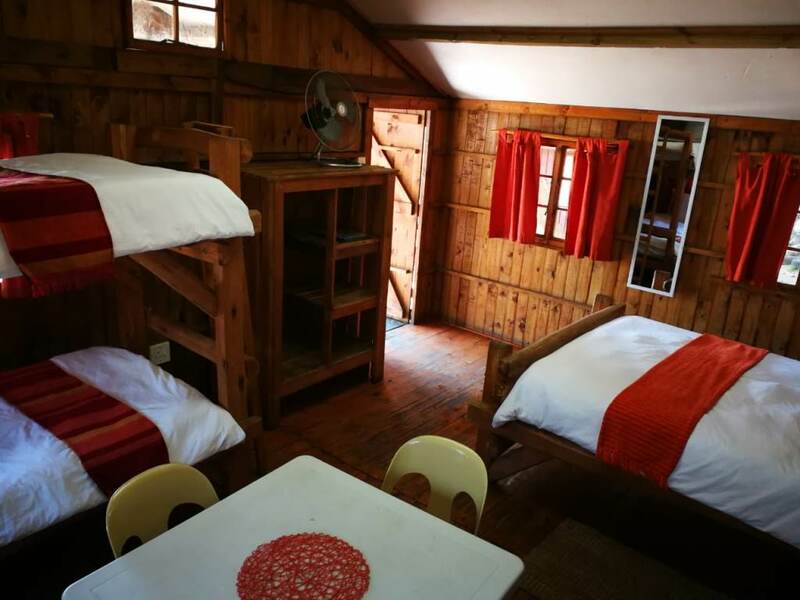 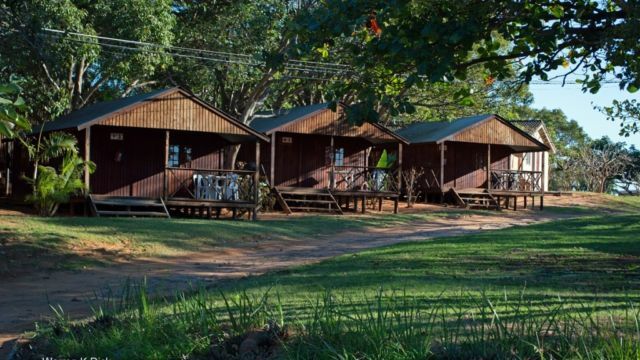 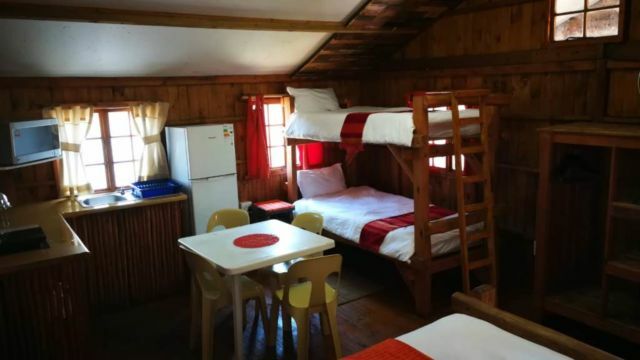 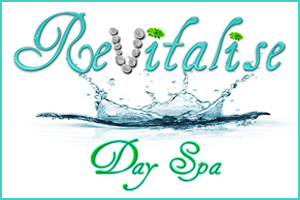 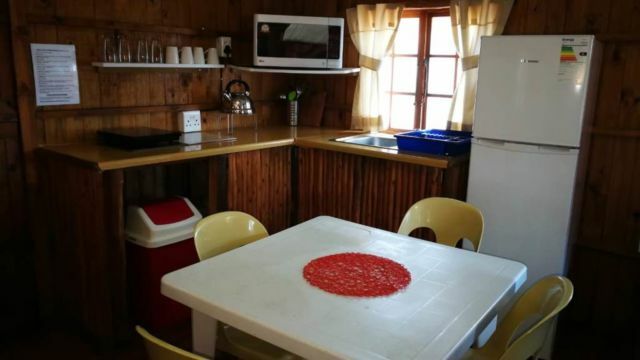 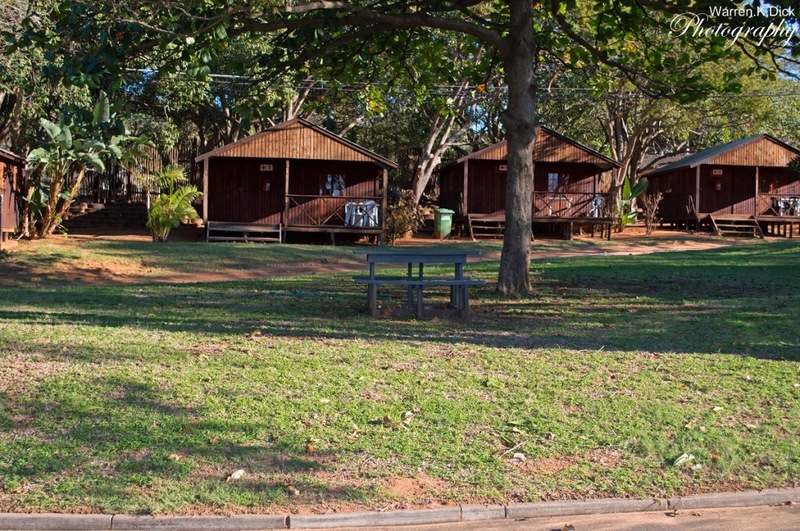 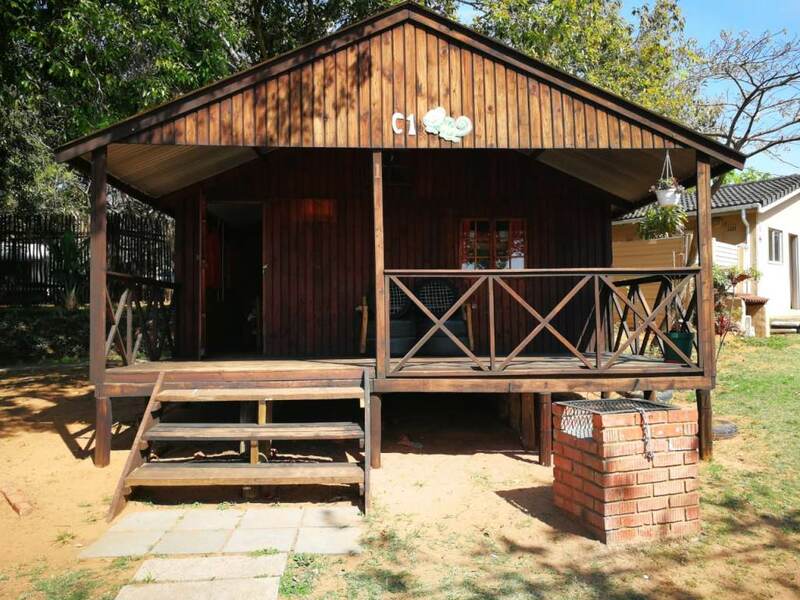 The cabins include a kitchenette with private ablution facilities which is within walking distance of the cabins. 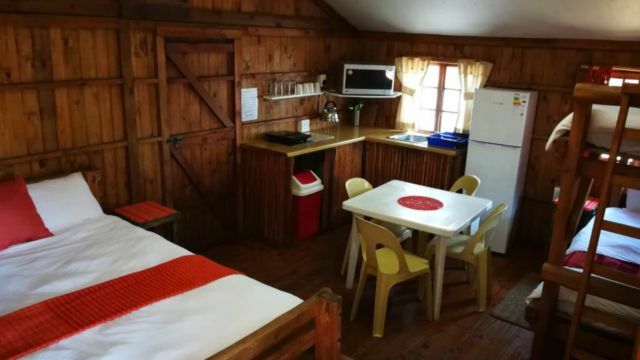 No smoking in rooms.